Not all ducks are the same. Some like shallow water for dabbling, others like the deep stuff for diving, and some like something in-between. 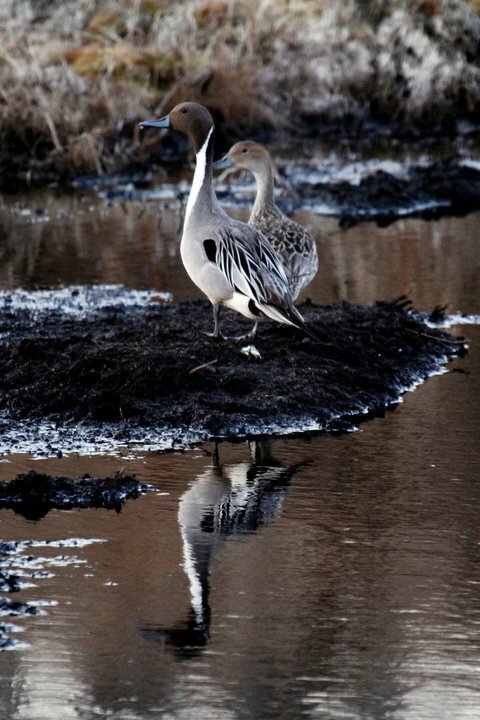 So how do you manage a wetland wildlife refuge to maintain the best mix of all three options? And what happens if the climate changes the amount of water that you have to work with? Those are the questions that we answered in our latest paper that has just come out in Climatic Change: Optimal water depth management on river-fed National Wildlife Refuges in a changing climate. Our paper is set in the mid-west of the USA (North and South Dakota to be exact). While those areas conjure up images of endless croplands for most people, they are also a paradise for breeding waterfowl. The main attractions for the fowl are the ‘prairie potholes’, shallow perched lakes that were carved out by retreating glaciers during the last ice age. There are thousands of these lakes across the Dakotas, and the prairie pothole region supports 50-80% of the breeding birds in North America. The US Fish and Wildlife Service runs National Wildlife Refuges that are intended to provide areas of permanent water for the birds during times of drought. The study refuges we looked at have control structures installed, so that they can manipulate the amount of water in the refuges at any time. We wanted to find out how much water we should store in each of the refuge pools to maintain a good mix of deep, shallow and medium depth water, so that all the waterfowl had enough habitat during any season. We also wanted to see whether changes in rainfall as a result of climate change would alter the optimal water control strategy. To do this, we optimized a Markov decision process to determine what heights the weirs between refuge pools should be set to during each season for a 20-year period under increasing and decreasing flow scenarios. 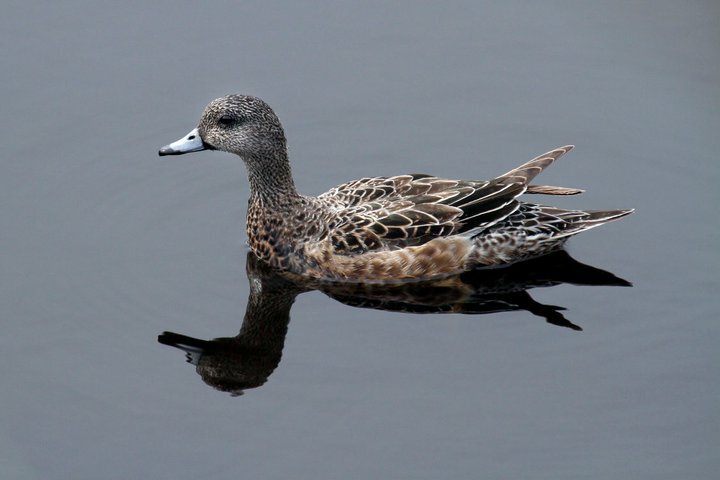 Luckily for the waterfowl, it turns out that for these refuges, the flows through the river are sufficient to allow managers to achieve close to optimal habitat mixes under both increasing and decreasing scenarios. It looks like these refuges are well-prepared for climate change. However despite that, the refuges couldn’t all meet their target habitat mix, because some were constrained by the size and depth of the pools in the refuge. Perhaps the refuges could raise the weirs or alter the shape of refuge pools to give them more options, or maybe they just need to re-adjust their desired habitat targets.